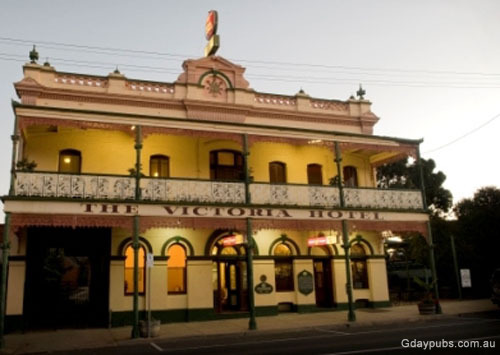 Former Cumberland Hotel Built in 1888, delicensed in 1960. The Shamrock restaurant commenced in 1985. Now a private residence. 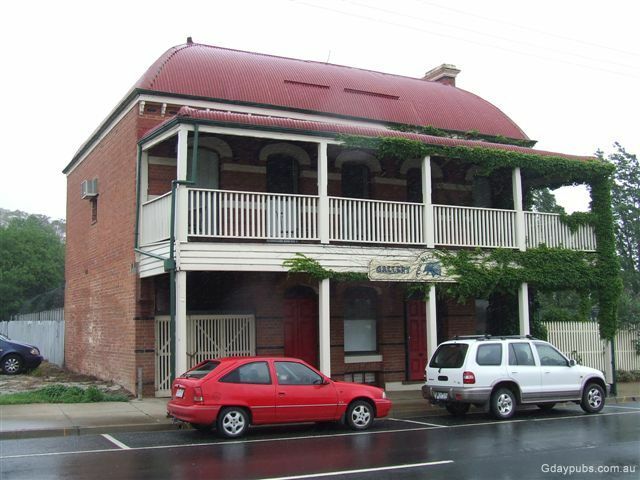 "Sydney may have a nice harbour, but Rutherglen has a Great Port! " is the caption you face upon entering the Rutherglen Township, a town renowned for its fortified wines, particularly Muscats. 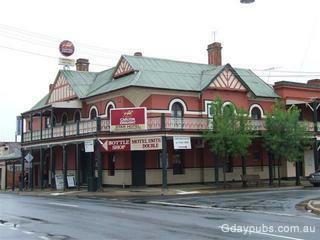 The town is full of fine wineries, but there are some notable Pubs too. High on the outskirts of town, there is a water tower in the shape of a Wine Bottle. 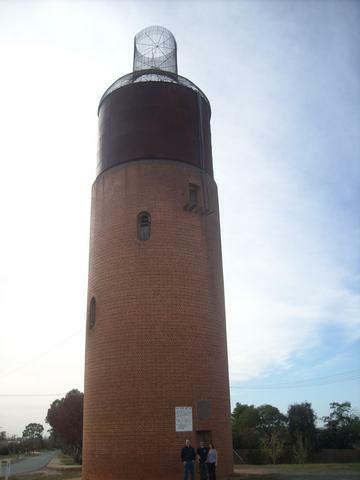 As depicted on the wall of the bottle, the Water Tower was first built in 1900. With the arrival of the reservoir nearby, the bottle, with its water tank built in at the top, became a secondary water supply in an emergency, but has since been relieved of that duty. In 1969, the Wine Festival Committee constructed the 18cwt steel mesh 'bottle' top as an iconic replica of a wine bottle to promote the annual wine festival in the area, and is seen from miles around. 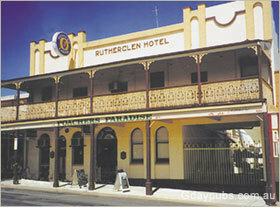 Anybody with some creative thoughts on how to raise the some funding to keep this great icon in good shape would do well to contact the Rutherglen Wine Region Tourism group at the Wine Experience - where the Information Centre is located at the Eastern end of the main street of the town (The roundabout). The town is presently keen to refurbish the Bottle, but may entail some hefty expenses in the order of $150,000 to sort out some construction issues. Now, you can't let an icon like this vanish....... can you!"